The only way to complete a never ending book series is to never stop reading it! 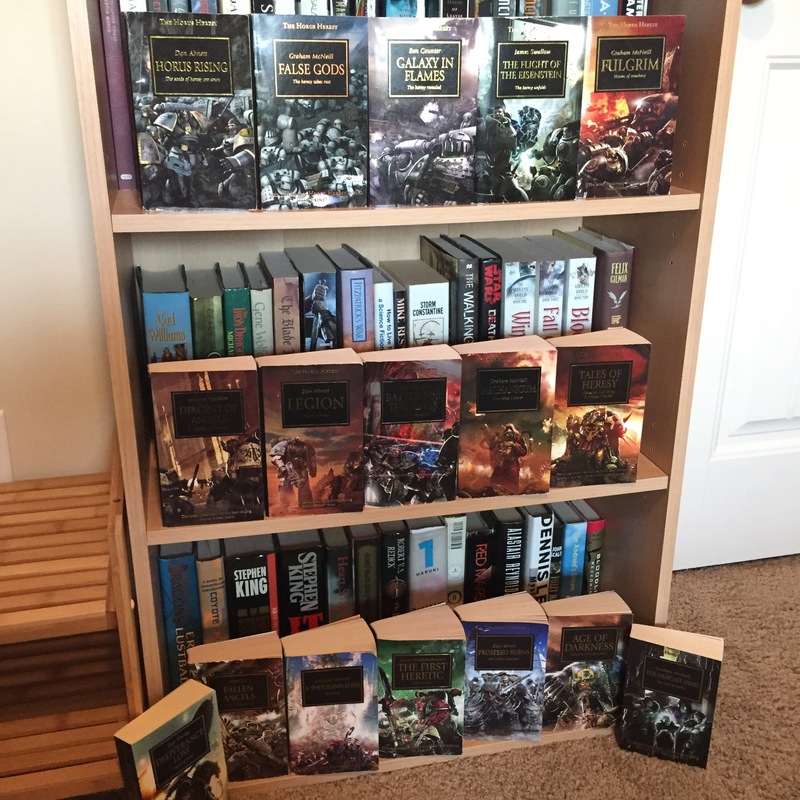 Y’all know I love The Horus Heresy, and since I’m now twenty-six books deep into this forty plus book series it seemed a good time to pause and reflect on it! I first started reading this series when it was first published but after reading the first six books I was distracted and I had set it down. Well, discouraged would be more the phrase. I had not expected the overall story to be put on hold while we saw everything else going on in the universe! And that’s kind of what happens. But I still thought it was a great story and had potential so four years ago I started the series over and this time I LOVED it! I knew more of what to expect. So when I heard it was over twenty books I wasn’t surprised. So grand a heresy, so great a tragedy deserved several books to lay out the whole story. Then it passed thirty books. Then it passed forty books….. but then I realized something: How do you finish reading a never ending series? By never stopping reading it! I have just completed reading the twenty-sixth book in the series. 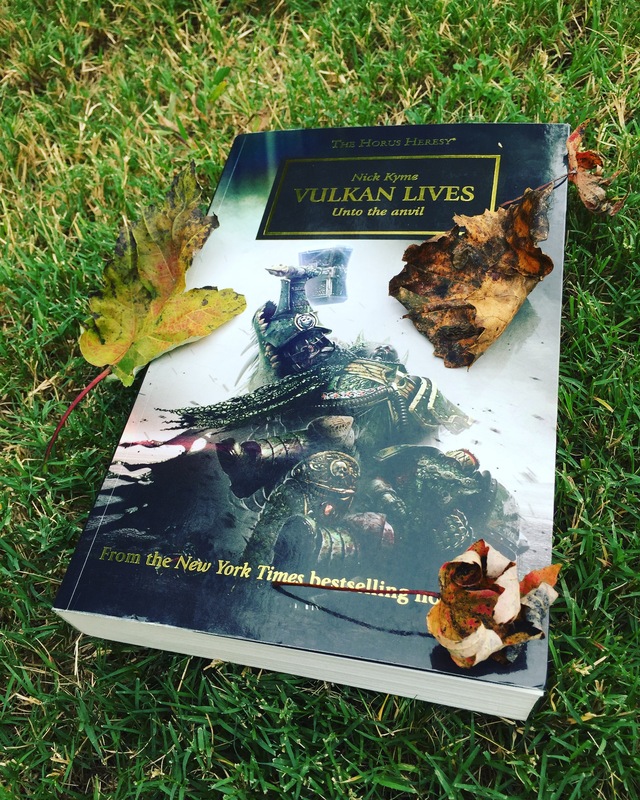 Nick Kyme struck gold with Vulkan Lives. This book has almost perfect pacing! And within its pages you reach one of the primary questions/frustrations so many have had with this series. The question of WHY. Why do we have this heresy? Why didn’t the principle parties sit down and sort out their issues since they are described as gods? Well in Vulkan Lives we are reminded that as much as the Emperor elevated all the good, noble, true, and incredible traits in the Primarchs, he also elevated all the bad, evil, selfish, and dark traits in the Primarchs. But I don’t mean to get lost in the weeds for this post. I mean to reflect. 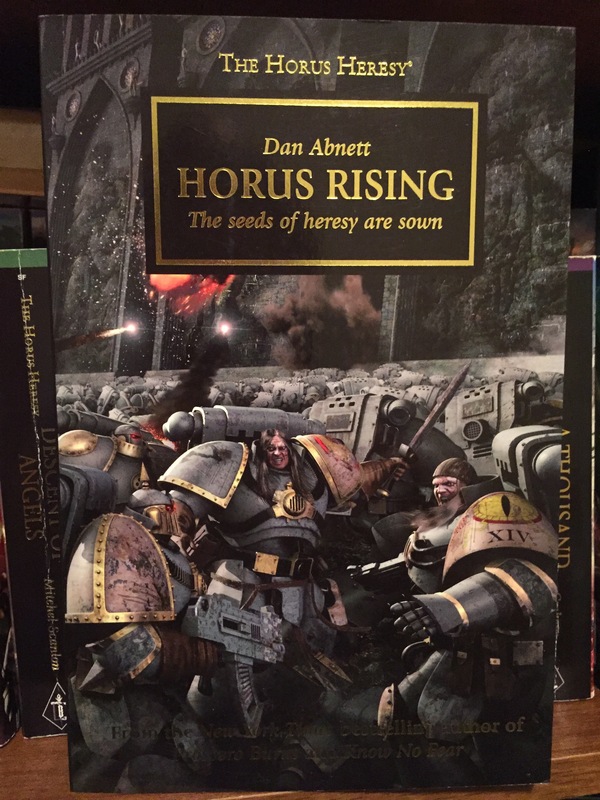 From the first book Horus Rising through the twenty-sixth book Vulkan Lives the authors have crafted an immense and awesome STORY. It’s a rabbit hole to be sure but one that’s worth jumping down and exploring. You don’t have to be a Warhammer40K fan to appreciate this story. You’ll truly learn enough by starting with the first book and reading on. I do think you’d have a difficult time if you aren’t a fan of SciFi as it is GrimDark Military SciFi, but at its heart this is a tragic tale of children rising against their parent and their siblings and the stakes in this family struggle are nothing less than the galaxy itself. Now to start the twenty-seventh book! This entry was posted in Book Reviews and tagged book, bookreview, HorusHeresy, Read, Reading, RedStarReviews, ScienceFiction, scifi, Warhammer40K, WH40K, WhatImReading on October 10, 2017 by redstarreviews.